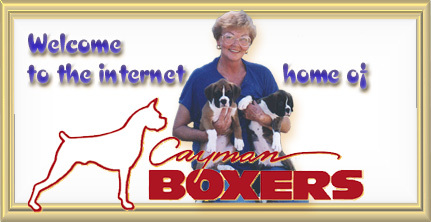 You are visitor to Cayman Boxers Homepage. and have spent years building a Legacy to Ch El Sirrahs Cayman Gold DOM OFA. As with any purchase -- Buyer Beware! -- if it sounds to good to be true, it might be! Please feel free to email me if you have a question about purchasing any puppy with the Cayman name attached.